It's 21:26 in La Ciaccia (Sardinia), Italy right now. North Sardinia Seaview A view of the sea from the house of the operator in Sardinia's North. Tempio Pausania: View towards Aggius, 15.8 miles away. 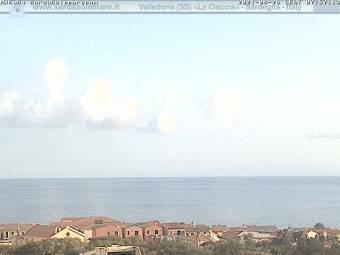 Ozieri (Sardinia): Ozierimeteo, 23.6 miles away. Stintino (Sardinia): La Pelosa Beach, 30.2 miles away. Porto Pollo (Sardinia): Livestream Beach, 33.3 miles away. Bonorva: View over Bonorva, 34.1 miles away. Alghero (Sardinia): Interactive Live Webcam from Alghero Sardinia, 35 miles away. Alghero (Sardinia): Alghero - Cala Bona, 35 miles away. Alghero (Sardinia): Tramariglio Bay, 35 miles away.